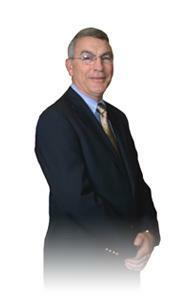 As Mayor of the City of Flowood, I would like to welcome you to Flowood's Web site. Flowood is located in Rankin County and is located east of Jackson, the Capitol City of Mississippi. Because of its strategic location Flowood is easily accessible by Interstates 55 and 20 as well as the Jackson International Airport which is located in the heart of Flowood. Highway 25 ("Lakeland Drive") is the main east-west corridor of the City and is one of the fastest-growing commercial areas in the State. Diversified with industrial, medical, retail, office and residential areas, Flowood is ideal for both businesses and families. During the decade of the '90's the City has reduced ad valorem taxes by 9 mills and has one of the lowest tax rates in the Metro area. Because of our excellent water distribution system and our highly qualified and well-equipped fire department, Flowood has a class five (5) rating which is the lowest fire rating of any municipality in Rankin County. Flowood has recently completed contruction of one of the state's premiere public golf courses, The Refuge. Located in the heart of the City near the International Airport, The Refuge is convenient to office and commercial areas. Plans are underway for development of office, condominium, and hotel facilities adjacent to the golf course. The Refuge promises to be the most unique public golf facility in the South. Construction has also been completed on a 1.2 million dollar mid-city community park complete with exercise stations, walking track, tennis and basketball courts and amphitheatre all of which surround a clock tower and activity area. The crime rate in Flowood is extremely low due in large measure to the professionally trained police department. The City is committed to training and equipping its police officers utilizing state-of-the-art law enforcement techniques to maintain the safe home town feeling enjoyed by the businesses and residents of Flowood. Convenient schools provide an excellent choice to families. Flowood is the location of Northwest Rankin High School and Middle School as well as Flowood Elementary. Likewise, two major private schools are located in Flowood. The largest private school in Mississippi, Jackson Preparatory School (7-12) is conveniently located in the heart of the City as is Hartfield Academy (K-12). All of this did not happen by accident. The Board of Aldermen has been dedicated in working with the Mayor's office to demonstrate a pro-business/pro-family philosophy. We believe that what is good for families is good for businesses and that what is good for businesses can also benefit families. Every opportunity for growth is viewed as an opportunity to improve the quality of life for our residents as well as our corporate citizens. Please come and visit our City. I must warn you however, if you stay very long you are going to want to relocate your family and business interests to Flowood. Join us at Flowood any time.